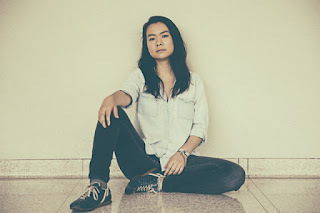 The other week I read about Mitski, a talented New York musician. Since then I have found myself listening to her music each time I go on-line, feeding a need that consequently grows greater the more I listen. I think it's the purity of her music that draws you in; It's uncomplicated in its presentation, with the emphasis on her stunning vocals. This results in a more detailed listening experience with no unnecessary distractions, shaped by the magnificent raw and unmolested sound. My favourite track so far is 'Texas Reznikoff' and opens my October playlist on my YouTube account.